Customer optimized online makeover for a better general view, a deeper insight and new possibilities. Now also available for smartphones and tablets. About Us defines Austria-Date“s motto and explains the chances of success. Postal Codes is an interactive map that shows registered users where to find other members. Flirt Clues for him and her help to behave advantageously, successfully and adequately in the chat room. Payment systems shows users at one sight with which payment methods they can acquire Flirt Coins, e.g. by bank transfer or PayPal. Thanks to these new icons that are an inherent part of our new layout users can directly see whom they are dealing with, where to find singles, how to flirt successfully and how to pay. But that“s not all. The new categories Find a Partner, He seeks Her, First Date, Get to Know Singles and Lonely Hearts Ad inform precisely about the situation, the difficulty and the methodology of modern partner seeking. Moreover, each of these categories is a source of inspiration and simplifies difficult advances in our digital age. Users of every age can orientate and understand what Austria-Date is about. Just as new: the Dating Service that forwards our users to an independent dating agency comparison site that represents Austria-Date“s services in numbers and facts. Furthermore, Austria-Date amplifies its website by FAQs and the service overview that describes clearly, briefly and visually Austria-Date“s offer. Last but not least there is one more important improvement: the adaption of the website to smartphones and tablets with an unprecedented mobile version. Thus, users can easily access their profile, flirt and search for singles all over the country. 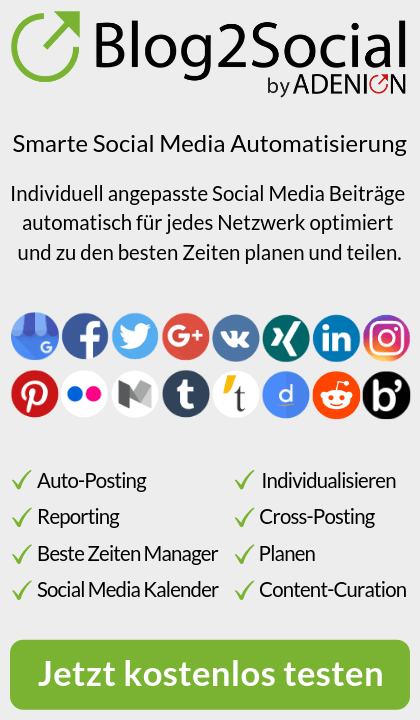 Die Social Media Network Group bietet Ihnen Leistung & Qualität auf höchstem Niveau. Als Mitglied wird Ihnen der bestmögliche Service gewährleistet. Rieta de Soet, CEO of IBS Intelligent Business Solutions helps customers create their individual office. If you decide to rent an office, the next question is where and for how long. Mrs. Rieta Vanessa de Soet, CEO of IBS Intelligent Business Solutions GmbH has one easy answer. Come in and start your business. IBS offers business center with a complete infrastructure for consultants who need an office for a few weeks or for entrepreneurs, who would like to test the market before founding an own office or for start-ups. According to Rieta Vanessa de Soet, business center are a good alternative for manager and freelancer. Flexibility is the keyword. Adjustable office size, furniture, term of lease and service. The IBS Business Centers are full of opportunities. Mrs. de Soet says, analysis have shown that business center have a lot of benefits compared to ordinary rented premises. The financial aspect is not the only benefit. The business center can be used immediately and is completely equipped. There have never been so many options for finding the best office solution, says Rieta Vanessa de Soet. If you still prefer to work in your own office, you have to calculate high costs for furniture and rent and longterm contracts. People who like to be in company and use synergies and don’t want to take care of anything, will be enthusiastic about the concept of a business center. IBS offers qualified employees, for example secretary, business economist and tax consultant, who are available for you on demand. Marquartstein, June 16, 2014 – The Berchtesgaden mountain rescue team recently depended on the inflatable X-GLOO tent from Skywalk for a major rescue mission at the Riesending cave on Untersberg. Marquartstein, June 16, 2014 – For months now, the Berchtesgaden Mountain Rescue Team has been depending on the inflatable X-GLOO lightweight tent for their rescue missions. Now it is being put to use yet again for a massive rescue mission at the Riesending cave on Untersberg: A red 5×5 meter X-GLOO tent has been standing by the entrance to the cave at 1800 meters for days now, providing shelter for rescue personnel and their equipment. In the meantime, there are more than 200 rescue personnel on the scene at Untersberg, prompting the tent manufacturer Skywalk from the Chiemgau region of Germany to provide the mountain rescue teams with additional tent materials at no cost. The tents have proved once again that they are an ideal solution for emergency/catastrophe situations! The flexible allrounder from Skywalk is lightweight, quick to set up and stands securely on any surface. The X-Gloo fulfills the requirements for quick outdoor use. „It can be set up by one to two people in just minutes – saving precious time for life-saving rescue efforts“. Once anchored, the X-GLOO is stable on any surface. Even the rocky alpine surface of the Untersberg presented no problem for the lightweight tent. The X-GLOO stands up to winds and rain thanks to the waterproof materials and aerodynamic form. Rescue team members can stay warm and dry inside by simply zipping on the side walls. The X-GLOO is available in sizes 4x4m, 5x5m, 6x6m and 8x8m. You can find additional information as well as pictures at www.x-gloo.com . Constructed from patented ripstop nylon, the X-GLOO Event Tent is perfectly suited as a trendy promotional tool or attractive trade show stand. The premium tent is available in sizes 4×4, 5×5, 6×6 and 8×8 meters and impresses with simple setup: only 10 minutes are required by 1 person and the tent will stand securely on asphalt, sand, grass, water or snow. The robust and yet still extremely light material of the flexible tent system allows use indoors and outdoors: the cloth is waterproof, UV-resistant and fulfills B1/ CPAI-84 fire protection norms. An additional plus point of the lightweight tent is the option for the individual design: Lettering, product photos or company logos can be applied to the roof, canopy, canopy banner, air-filled tubes, X-RELAX stool or water ballast barrels according to corporate design guidelines. There are practically no limits to designing the X-GLOO. Thus, the X-GLOO is transformed from pure event tent to image carrier par excellence. The X-GLOO can easily be closed by zipping the entrance wall, window wall or side walls closed to keep the wind and cold outside. Expansion of the covered area is simple by means of the canopy or by combining as many tents as desired with the tunnel elements. The functional LED lighting kit illuminates the inside of the tent. skywalk GmbH & Co. KG, composed of three divisions: skywalk, FLYSURFER and X-GLOO, was founded in 2001 and in the meantime has become a trendsetter in the development of paragliders, surfkites and tent construction. X-GLOO develops and distributes the modular Event Tent System, an aerodynamically formed, inflatable lightweight tent with accessories, highly suited for promotions, events or as innovative tradeshow stand indoors or outdoors. The high-tech materials used by the tent manufacturer allow for use in any weather or on any surface and can be designed according to corporate design guidelines. The success of this company is based upon year-long experience in aviation with regard to material selection as well as function design. Diverse patents, utility patents and awards, such as the reddot design award for the X-GLOO, have been born out of the creative spirit of the company. In the meantime, a 40-member team of skilled personnel is the result of continued growth and worldwide sales in the millions. GELMI, specialists in event equipment, will be strengthening the Italian X-GLOO dealer network from now on. Marquartstein, June 1. 2014 – The Italian manufacturer of event equipment GELMI is a recent new addition to the X-GLOO team. This addition enables Skywalk to reinforce its dealer network for the inflatable X-GLOO Tent System in southern Europe and expand upon its presence in Italy. The aerodynamically formed lightweight tent is available in the sizes 4x4m, 5x5m, 6x6m and 8x8m. The X-Gloo Event Tent is flexible and can be set up in minutes, thanks to the light materials, clever stabilization system and easy operation! The tent stands securely indoors or outdoors and the smart design is a real attention getter. Additional information as well as pictures can be found at www.x-gloo.com . Skywalk GmbH & Co. KG, composed of three divisions: skywalk, FLYSURFER and X-GLOO, was founded in 2001 and in the meantime has become a trendsetter in the development of paragliders, surfkites and tent construction. X-GLOO develops and distributes the modular Event Tent System, an aerodynamically formed, inflatable lightweight tent with accessories, highly suited for promotions, events or as innovative tradeshow stand indoors or outdoors. The high-tech materials used by the tent manufacturer allow for use in any weather or on any surface and can be designed according to corporate design guidelines. The success of this company is based upon year-long experience in aviation with regard to material selection as well as function design. Diverse patents, utility patents and awards, such as the reddot design award for the X-GLOO, have been born out of the creative spirit of the company. In the meantime, a 45-member team of skilled personnel is the result of continued growth and worldwide sales in the millions. GARREIS Trade Show Display Service, the specialist for modular trade show construction and mobile display systems, has joined the network of German X-GLOO dealers. Marquartstein, May 8, 2014 – Completely in line with its stringent marketing strategy, the tent manufacturer Skywalk has once again expanded the dealer network for the trendy X-Gloo lightweight tent system: Garreis, a specialist for modular trade show construction and mobile display systems is now a strong addition to the dealer team in Germany. GARREIS adds the lightweight yet robust X-Gloo tent all-rounder to its current display system product line and will distribute the X-Gloo Tent System through its Germany-wide sales team. „The X-Gloo is a clever and flexible event tent which impressed us immediately,“ according to Clemens Marx, Sales Director at GARREIS. „Quickly and easily set up by inflation with air – the tents are stable indoors or outdoors – simply brilliant! The perfect addition to our product line. And add to that the multitude of options for personalization – our clients will be very impressed with the X-Gloo! The premium X-Gloo tent comes in the sizes 4×4, 5×5, 6×6 and 8×8 meters and is available in all colors. It can also be expanded according to your preferences with the additional tunnel element – the tents can be left open or closed with the side walls with window or door elements. Marquartstein, April 15, 2014 – The tent manufacturer Skywalk from the Chiemgau region of Germany has expanded its inflatable X-GLOO tent system. The core of the repositioning is based upon an expanded modular design principle, technically-optimized tent details with top quality workmanship, additional branding options and new customer service features. The new modular design allows the roof and tubes to be removed or replaced quickly and easily, thus optimally meeting the customization needs of the client. Different color combinations and new printing variations are now even easier to produce! „We have made our X-Gloo even more flexible and robust“, says Everhard Uphoff, Head of Marketing & Sales at X-GLOO headquarters in Germany. „A re-engineered canopy, larger valves for quicker inflation and deflation, and double stitching in key areas successfully fulfill our high standards for quality and functionality! Stainless steel anchors and our clever strap system round off our premium tent perfectly“. The new X-GLOO remains a visual treat: The elegant aerodynamic design and the quick and easy setup by inflation with air have the same top quality and function as the original tent design, and it is still a snap to attach the various elements such as side walls, tunnels, canopies and banners by zipper. Side walls are reversible and can be customized in a myriad of ways. New printing methods provide for additional branding options, quicker delivery times and reduced costs: along with the existing printing variants, the event tent can be individualized quickly and economically by thermotransfer foil print or dye sublimation. Almost every X-Gloo surface can be individually designed with logos, text or pictures. The huge range of branding options offers the perfect solution for any time frame or budget. What is a business center? GMC Global Management Consultants AG offers an individual telephone service, backoffice, marketing service, translating services, conference rooms and helps building up your marketing organization. Due to a presentation at the GMC Global Management Consultants AG in Zug, Rieta Vanessa de Soet and Dr. Fabian de Soet explain the concept of a business center. Whether as a short term or a long term solution, the offices are completely equipped with a perfect office infrastructure and high qualified employees. This is a perfect solution if you want to expand your business to a different region. It is simple, uncomplicated and cheap. You don“t have any launching costs, no investments and a flexible term of lease. Rieta de Soet says, the availability of offices in a business center is a great benefit for companies coming from abroad, because they get a helping hand from the employees who speak the local language and know the culture and costums. It is also a good solution for a young entrepreneur, who wants to start self-employment. He gets all the help and information he needs from an experienced and high qualified staff. Furthermore GMC offers an individual telephone service, backoffice, marketing service, translating services, conference rooms and helps building up your marketing organization. No matter what your needs are, GMC offers a personal and professional service to absolutely amazing prices, says Dr. Fabian de Soet. „How may I help you“ instead of „Please call again later“. Marketing is a very important part of any company, that wants be successful. Rieta Vanessa de Soet says, it starts with the telephone. A pleasant voice, clear pronounciation and an appropriate sound volume is the first step to leave a good impression. If the company offers a call-back, it has to happen as soon as possible. When the telephone rings, answer it quickly but not too fast. Rieta de Soet says, pick up the phone after ringing two times otherwise you may seem to be very stressed. It often happens that a friendly person picks up the phone, but just to forward the calling person to a waiting loop with bad music. Rieta Vanessa de Soet is convinced, that every single person has his or her specific voice. But there are people, that you can not presentate on the phone. It is absolutely necessary, that the person speaks in a confidient tone, understandable for everyone. Every company needs motivated staff. Employees who are not afraid of communicating with others. Unmotivated staff often just asks the clients to „Call again later“, making the impression of not caring about the customers needs. In this case the client will not get more help the next time he calls. Rieta de Soet says, if the phone call is qualified, quickly and friendly answered, the client automatically gets the feeling of security – security that the company cares about the clients problems. Once you have reached this step, you need to take it to the next level. The client deserves a good and accurate answer. The telephone service is a part of marketing and marketing an important part of the business policy of a company. Therefore the telephone service may not be underestimated. It all starts here. With the new ERV Blog, readers can get valuable information about travel safety as well as fascinating insights of the company. 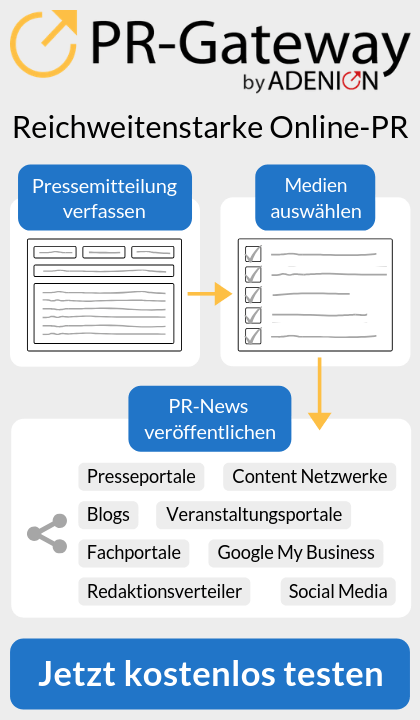 The Blog has been realized in close cooperation with the 360° Content Marketing & Social Media Agency dot-gruppe from Berlin. The team of authors consists of three permanent staff members of the European Travel Insurance (ERV). They share their experience und professional knowledge with the audience. Whether news from the emergency-hotline, useful travel tips and important safety information for various countries, a sufficient variety of topics and substantive expertise will be provided. All of these are deliberately selected components of a successful content marketing strategy. To their customers the ERV has long been considered as a relatively abstract concept with a rather boring topic. The new ERV Blog will now change that. For this the ERV deliberately turned to the Social Media Agency dot-gruppe. As an established social media agency and long-term experts for viral and content marketing, the agency takes care of the development of the whole blog concept, the clean technical implementation and accompanying strategic advice. In addition to the presence on Google+, the ERV is thus intensifying their social media marketing activities. Conceptually the goal is to establish the Blog as a comprehensive travel magazine with a sympathetic appearance, good content and substance, from an authentic writing team. With the rich content the Blog will provide real values to customers and readers. The thematic focus is (due to the large relevant competence of the ERV) on the aspects of travel safety and insurance coverage. The target groups are active travelers and travel enthusiasts. Thanks to the content marketing strategy of the social media agency dot-gruppe, the ERV is so glad to offer transparent insight into the company through the Blog, enter into a dialogue with their customers and provide them valuable travel and safety tips. The ERV is thus exploiting the potential of content marketing to reach sustainable customer loyalty through authentic content. The dot-gruppe is a leading company in the field of Social Media and Viral Marketing and on the market for over 11 years. The service spectrum ranges from the Viral Video production, Video Seeding, YouTube Promotion, Guerrilla Marketing, Social Media and Blog Marketing. The customers of the dot-gruppe include internationally known brands in the Consumer Goods , Tourism and Charity. Campaigns of the dot-gruppe were nominated at the Cannes International Advertising Festival and the New York Advertising Festival. What are the main criteria of a good network marketing company? Team Florida wants to show you the main criteria of a good network marketing company and how you make the right decision to become successful. Team Florida is convinced that the most important point is called: Who is your upline? Take it all the way to the top. What do you know about the person who introduced you to the opportunity? Can you trust what they tell you? Are they willing to divulge exactly how much they“ve been making? And what about the founders of the company (assuming it“s a newer company)? Have they been successful and reputable in their previous businesses? Is it something that would sell well in a retail store or via other traditional marketing and distribution channels? What“s the competition like? Is it a consumer product? Team Florida is the meaning only with a good consumer product you achieve passive income! How convincing do you have to be in order to sign up customers? If you“re not an experienced salesperson, don“t expect to become one overnight. You have to become an evangelist for the product, so make sure you believe in it. When will you start actually making money? Don“t fall asleep that it takes months to show a profit. You should be able to recoup any investment and start earning income within only few weeks if there“s really demand for the product. Making a living at it is another story. You need to be able to work it part-time in addition to other steadier income sources. Will you realistically be able to do that with this company? It is important that you have a high margin on the products. Direct sales to customers. Where is the product being promoted and where can you promote it? Is the company doing advertising and publicity by its own to help creating demand for the product? And what restrictions are there on where and how you can promote it (advertising, web sites, etc.). There“s not a right or wrong answer to that question – a wide-open policy is more flexible for you, but for everyone else, too. If you“re prepared to be highly competitive, that“s fine, but if not, you may prefer to work with a company whose policy is more restrictive. Check the company step by step or your upline makes it transparent. An online marketing system, personal landing pages and participation in campaigns. Were you recruited primarily as a customer, with just a mention of „income opportunity“, or was the primary pitch about the business opportunity? The ethical way to build a downline is to sign people up as customers first, and then if they like the product, they“ll be drawn to become a representative. A hard-sell on signing up as a rep right at the outset should signal you a red flag. If you“re doing this because of a cash crunch and you think it could help you out of it, forget it. If you“re doing this because you want to become rich in a year, well, it“s fine to have a vision, but don“t bank on it. On the other hand, if you really believe in the product, you will have the best likelihood of success. There is no right or wrong. The point is to make sure that you“re going into it with your eyes wide open. Many people have made a lot of money in network marketing, MLM, and costumer direct marketing, but many more have ended up wasting a whole lot of time and money while chasing a pipe dream. There were a lot of questions from Team Florida to you, but they want that you know 100% what you’re getting. You can ensure your success best by being sure you“re getting into the right opportunity in the first place. We wish you much success..!